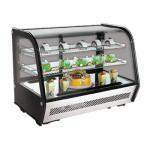 Are you looking for a great way to display the delicious baked treats you want to sell to your customers? If so, you'll find that a pastry display case is the perfect way to show off these goodies and attract the hungry eyes of your patrons. 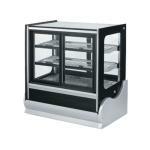 We offer both refrigerated pastry display cases and non-refrigerated pastry display cases that can conveniently be stored on your service counter. Therefore, no matter if you need to keep your bakery delights cool or simply fresh for the eye to see, we have all of your needs covered. 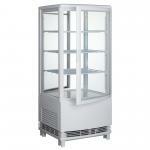 Browse our collection of refrigerated countertop display merchandisers. 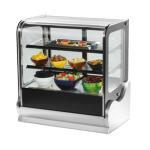 These countertop displays are perfect for selling drinks and other refrigerated foods. Receive members-only pricing and exclusive offers. Thank you for joining our mailing list. You may also wish to create a new account and join our free HRS Club for instant savings. The HRS Club is free to all customers and allows you to see your actual price while browsing our site rather than needing to add to cart or email a quote. Creating an account is easy. Just enter your email address and your desired password below, and then click the Create Account button. This will be your password. You may change it from the automatically-generated password by typing a new password into the box. Why do we do this? We dislike silly games as much as you do. We just aren't allowed to show our lowest prices to non-HRS Club members. Want to know more, call or email. Privacy Statement - We will not sell or share your email address with any third party other than as required by law. Privacy Statement - We will not sell or share your phone number with any third party other than as required by law.